Do you know someone who's constantly scanning the web for awesome travel deals? They are always talking about new, off the beaten sites they want to go to. Every subject is more interesting when you're talking to someone with the travel bug. You can find out what is really served with a fresh bowl of Ramen in Japan or what country has the worst taxi service. 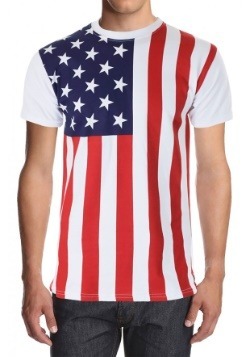 The only problem is, it's hard to remember all the places that jet-setter has been to! Now you can keep track by gifting them with this classy scratch-off world map. 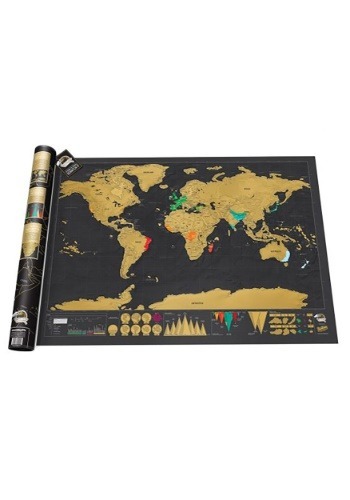 The map has a sophisticated black background and gold countries that can be scratched off to reveal a colorful layer beneath. The bottom shows different facts about the world in interesting graphs and charts. So, whether this is for your storytelling Grandpa who traveled the world with the Navy or that young college student who's living the backpacking lifestyle, this map is sure to stir up some adventurous conversation!